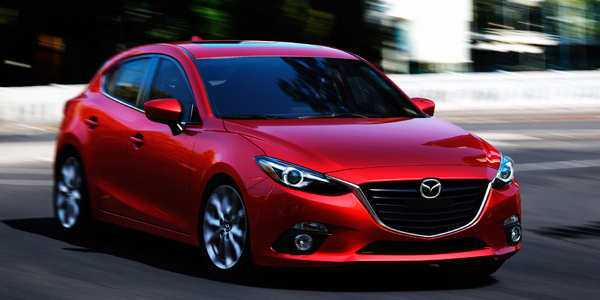 The 2014 Mazda3 is in line for the Automobile of the Year 2014 award, Automobile magazine announced Nov. 14. The magazine lavished praise on the redesigned compact, which is sportier and more luxurious than most competing economy cars. “It drives with personality, yet it’s more significant for its ability to offer the latest active-safety devices and an outstanding level of luxury at an affordable price,” Automobile wrote. While it's hard to pick a single standout among the many outstanding compact cars sold today, the Mazda3 seems to nail the criteria essential for driving enthusiasts: Mazda doesn't require you to step up to a larger, bulkier, and less fun vehicle to get premium quality and amenities. The Mazda3 also provides a rare dash of zest for this price range. This upgrade is notable because although the previous-generation Mazda3 won critical acclaim for its driving dynamics, less praise was lavished on its premium qualities -- especially as standards for the class increased dramatically in recent years. Such models as the Chevrolet Cruze, Dodge Dart and Ford Focus are notable for their premium cabin trim and sophisticated driving dynamics, and the Focus in particular emerged as a clear challenger to the Mazda3's grasp on the driving enthusiast niche of the economy car market. At least in the judgement of Automobile, the new Mazda3 has made tremendous strides. "The Mazda 3 is now unabashedly at the top of the compact heap, as no other car in this competitive segment offers the same combination of grace, style, technology, and the aforementioned active safety features," the magazine writes, stating that "nearly all of the previous Mazda 3’s flaws have been remedied." This is important praise for Mazda, which is trying to boost sales with new products in three critical segments; the redesigned Mazda3 follows the all-new 2013 CX-5 compact crossover and the redesigned 2014 Mazda6 midsize sedan than went on sale early this year. The Mazda3 is the brand's best-seller but it's still something of a niche player in a compact-car market dominated by Honda and Toyota. It's important to note that Automobile has only named the Mazda3 as a finalist for "Automobile of the Year." While it's a valuable designation, even the best compact economy car would face an uphill battle in surpassing this year's competitors for the crown. The magazine has been naming just one finalist per day, with the winner to be announced Nov. 16. As of this writing, the other finalists are the BMW 435i sporty coupe, Cadillac CTS luxury sedan, Chevrolet Corvette Stingray performance car, Chevrolet Impala full-size sedan, Jaguar F-Type luxury roadster, Land Rover Range Rover Sport luxury SUV, and Lexus IS and Mercedes-Benz CLA compact premium cars. As good as the Mazda3 is, some of these others could make a better case for being considered the year's best. The Corvette and F-Type may not be unattainable, but they're breathtaking for their looks and performance; the Mazda3 is only great for what it is. The CTS is also a bigger departure for its brand than the Mazda3, as Cadillac's first viable competitor to the BMW 5-Series or Mercedes-Benz E-Class. However, the changes Mazda brings to the economy car class -- this mix of style, performance, luxury and fuel efficiency -- make it clearly more significant and impressive than the evolutionary BMW or Lexus. Other Mazdas, including past models of the Mazda3, have been singled out for praise by Automobile. The CX-5 was an "all-star" in the 2013 awards, and older Mazda6 and MX-5 Miata models were judged "all-stars" before the magazine began identifying a single winner in 2012. The 2012 Automobile of the Year was the Audi A7 luxury hatchback and the 2013 award went to the Tesla Model S electric luxury car. Update: The Corvette has won the 2014 Automobile of the Year award: "The Corvette has long been a tremendous performance value wrapped in an all-American package. Now, however, with newfound sophistication and user-friendliness, the C7 should melt the barriers that have kept away so many driving enthusiasts."